Can the Capitals Hack Hakstol's System? 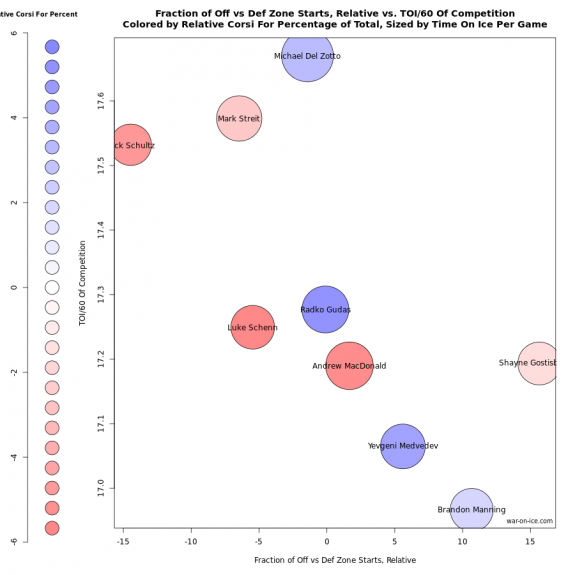 Can the Capitals Hack Hakstol’s System? You would think that after an 84-point season and loads of turnover on the NHL roster and coaching staff, the Philadelphia Flyers would be in the middle of a rebuild for 2016. That wasn’t the case, as new head coach Dave Hakstol guided the team to the final spot in the playoffs with 96 points. These have been trying times for a once-proud franchise previously from missing the playoffs in two of the last three years beforehand. But under smarter management by General Manager Ron Hextall, not only have the Flyers improved in such a short amount of time but with his emphasis on drafting and developing talent from within, it seems like this franchise will be a consistent playoff participant for years to come. As for Washington, they have already improved with a change of management and coaching within two seasons. Now they have a Presidents’ Trophy thanks to their 120-point regular season but will need to prove that they can conquer the NHL universe once again. So who is going to take this series between two of the more interesting teams in the Eastern Conference? When we talk about this year’s iteration of the Philadelphia Flyers, all things start with the man they call “Ghost-Bear”. After being called up to the NHL on November 14th, Shayne Gostisbehere has been among the most exciting defensemen in the league and the Flyers have benefited greatly as a result. Before the 22-year-old’s promotion, Philadelphia had a shocking 5-8-3 record (good enough for a 67-point pace in the standings) and only had 46.8-percent of their score-adjusted shot attempts go in their favor at even strength. Since then, the Flyers record is on pace for 103 standings points and they have seen their puck possession improve to 50.9-percent. Now you may think that Gostisbehere may be the sole reason why the team got over their early season slump and should now be considered among the best players on the team. The truth is that might not be the case. If anything, Gostisbehere’s individual puck possession has only been at 49.7-percent and his time on the ice is still below 15 minutes per game at even strength. To top it off, his relative offensive zone start percentage of +15.7-percent is only bettered by Mike Green and Keith Yandle among defensemen that have played over 800 minutes of even strength play. In other words, while producing 46 points in 64 games is still an impressive feat for a rookie season, Gostisbehere is still getting rookie treatment in his deployment and hasn’t hit the level in which he can be counted on to receive top pairing assignments against the opposition’s best players. That is why you are still seeing him play with either Andrew MacDonald or Brandon Manning as his defensive partner, and unless Gostisbehere’s partners play well beyond their expectations, this dilemma will be among the major crutches for Philadelphia to get through if they are going to beat Washington in this series. It can’t be stated enough how important losing Michael Del Zotto to wrist surgery was for the Flyers when it comes to utilizing their blue line. That has resulted in the current Gostisbehere-McDonald pairing while Nick Schultz and Mark Streit are seen as the team’s top pair. While together for over 660 even strength minutes this season, Philadelphia has only seen 47.6-percent of their shot attempts go in their favor with these two on the ice. It will be critical for Washington to take advantage of this situation by constantly unleashing their top six forwards on the two and pin Philadelphia in their own zone during those shifts. While the Radko Gudas-Brandon Manning pair has been fantastic this season with 56.8-percent puck possession in 417 even strength minutes, they have not been gaining Hakstol’s trust for some reason for them to receive more playing time or face tougher competition. We will see if that becomes a new wrinkle if their backs end up being against the wall more so than they already are in this department. If there’s one thing Philadelphia can count on, it is the goaltending of Steve Mason. You’ll be surprised to hear that it is not 48-game winner Braden Holtby that led the league in adjusted save percentage amongst goaltenders that have played 2,000 minutes of even strength. Instead, that honor went to Mason as the 27-year-old went on to save 93.52-percent of his weighted shots at even strength. Meanwhile, Holtby finished 11th out of 23 goaltenders in this cohort with 92.81-percent. While that is above league-average, it portrays just how much of a swoon Holtby went through in February and at the beginning of March, after he seemed like a lock for the Vezina Trophy after in December. However, it is a bit perplexing to see Mason only have a quality start percentage of 52.8-percent (the league average). Meanwhile, Holtby sits at 63.6-percent in that department which is good enough for fifth among goaltenders that have played over 40 games in the NHL this season. That is due to Holtby’s larger margin of victory in making saves while on the penalty kill. This season, Holtby saved 87.6-percent of his weighted shots while shorthanded, while Mason’s was an abysmal 82.5-percent. Even though Mason had better numbers in that department, it will be very important for the Flyers to stay out of the penalty box. With all these weaknesses on the defensive end for Philadelphia, Washington’s forward group should be able to take advantage. Despite shooting at an unstable 8.24-percent at even strength (good for fourth best in the NHL), their score-adjusted shot generation of 54.8 attempts per hour is eighth best in the NHL. While Philadelphia has improved offensively, their 53.7 score-adjusted attempts per hour is only good for fifteenth. Even if you are a fan of shot quality, the advantage is still with the Capitals. According to Corsica.hockey, Washington’s even-strength expected goals per hour sits at 2.51 while Philadelphia’s is only at 2.40. To go along with that, Washington’s forward lines could have their most ideal combinations in some time. One of Washington’s biggest headaches all season has been the utilization of Tom Wilson and Jason Chimera on the bottom-six forward lines. While together, the two only had 47.3-percent of the shot attempts go in their favor. For Game One, head coach Barry Trotz has decided to move Wilson on the fourth line with Daniel Winnik and Jay Beagle. While there is little sample size of all three being together this season, Wilson has been able to have 49.3-percent of the shot attempts go in his favor when playing with Winnik. As for Chimera, he will be on a third line with Mike Richards and Marcus Johansson; two highly skilled forwards that can carry the puck into the offensive zone with speed and have an ability to play well on both ends of the rink. As for Philadelphia, it will be interesting to see how Jakub Voracek and Brayden Schenn perform this postseason. To the surprise of no one, Claude Giroux, and Wayne Simmonds are Philadelphia’s most talented offensive forwards. There’s no better evidence than Schenn’s career high 26 goals and 59 points. All season, though, the 24-year-old had a solid, but not great, 50.5-percent puck possession at even strength. That number changes to 52.2-percent when playing with Giroux and 53.3-percent when playing with Simmonds. Along with that, Schenn’s shooting percentage finished at a career high 14.6-percent. With the luck-starved Voracek back on the top line, it will be interesting to see how Schenn performs individually on the second line with Sean Couturier and Michael Raffl. Even if Schenn does not rack up points this series, he will be a part of one of the best shutdown lines in all of hockey. While facing as tough an opposing competition as the top line, both Couturier and Raffl are the team’s two best shot suppressors. Along with that, either Couturier and/or Raffl have been a part of Philadelphia’s four best puck possession forward line combinations that have played over 90 minutes together according to Corsica.hockey. With Schenn on the second line, the trio have had 54.1-percent of the on-ice shot attempts go in their favor. For Washington to win this series, Trotz can not have Hakstol roll out this line against his top six for most of their shifts. If he can deploy his third line against the Couturier line, it will be a massive win for Washington. If Washington performs as well as they are expected to, this can end up being an easy series for them. However, that is better said than done because of the team’s history and the margins of victory between these two teams is much smaller than people give credit. If Washington wins, it will be because they will overwhelm Philadelphia’s top-four defensemen and have their top forward line outperform the Flyers when line matching. If Philadelphia wins, it will be because Steve Mason becomes the best player in the series and actually outperforms Braden Holtby. Along with that, Sean Couturier’s is able to impose so much will on whichever line he faces, that he will be in the same class as Patrice Bergeron, Marian Hossa, and Anze Kopitar as among the best defensive forwards in the NHL. Lastly, Jakub Voracek finally catches fire with a little help from Giroux and Simmonds after having a rough shooting slump throughout the entirety of the regular season. I would like to think the Capitals will win in seven games if only so I can make sure to take into account that nothing is easy in Washington, D.C.